RMP provided the full range of acoustic consultancy services throughout the project. This historic A-listed building is one of Edinburgh’s iconic landmarks, proudly towering over the Royal Mile. Originally built in 1845, Edinburgh International Festival acquired the building in 1995. It then underwent a huge transformation under the design and supervision of Benjamin Tindall Architects. The centre was re-opened to the public by the Queen in July, 1999. 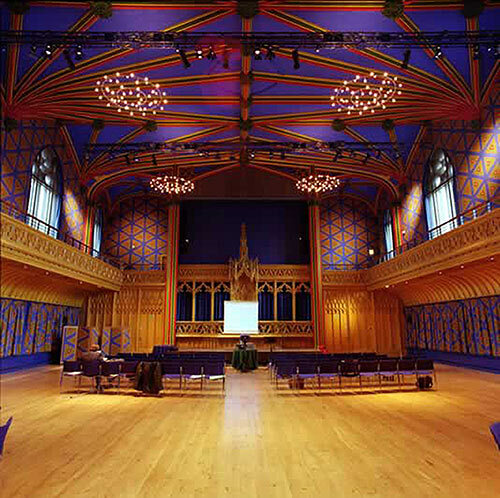 It is now home to the Edinburgh International Festival Centre and features performers from other festivals. The building now has a 700-person auditorium and exhibition, retail, catering and office space.